Kristin O'Connell is a writer and photographer based in San Francisco. She is the creator and editor of Beyond Ordinary Guides, a site featuring travel guides filled with personal stories and great things to see and do. Here she shares with DT365 an active day just outside the city. Kristin states: “San Francisco can be quite hectic at times, so for a break head north for beautiful scenery, yummy food and a relaxing day by the water." Want to stay across the bridge as well? Check into the Cavallo Point Lodge, a sister hotel to The Post Ranch Inn, located at the foot of the Golden Gate Bridge and very close to Sausalito. This historic property, once a U.S. army base has been beautifully restored into contemporary green lodgings. With a healing arts center, cooking school, excellent restaurant and killer views of San Francisco and the Golden Gate you may be tempted to stay put, even though the city is only 10-15 minutes away. Hike: Once in Muir Woods, there are a number of hikes to choose from, ranging from .7 to over 5 miles in length. 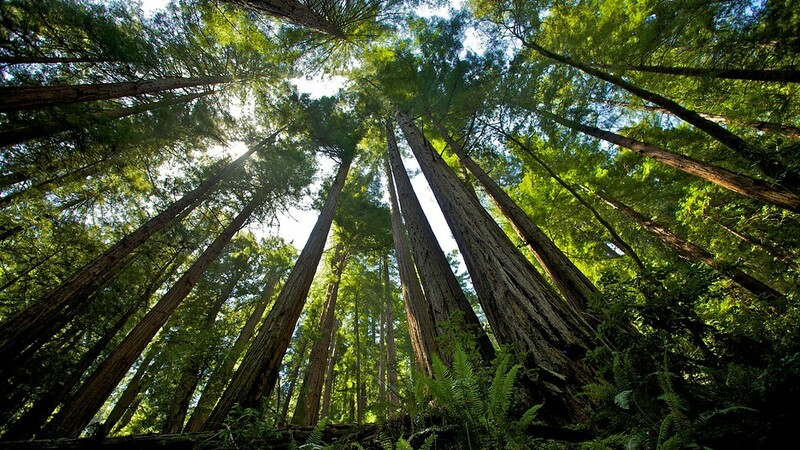 No matter the length, they all immerse you in the grandeur of the redwood forest. Lunch: After working up an appetite, head down to Sausalito for some lunch. A charming, sailing town, Sausalito is a great place to relax and shop before heading back to the city. Our favorite place to grab a bite is Bar Bocce. You can either wait for a table or order your pizza and find a picnic spot on the water near the bocce court. We recommend the latter, but to each her/his own! A huge part of what makes Sausalito a destination is it’s cute downtown. Stretch your legs and walk to Lappert’s Ice Cream for dessert, enjoying the views of San Francisco and snapping a group photo in front of the Sausalito fountain. Art Stop: If there are any art lover’s in your group, don’t miss a visit to Heath Ceramics, one of the last remaining mid-century ceramic makers in the U.S. They produce their world-renowned pottery and tiles at factories in the Mission neighborhood of San Francisco and Sausalito. Pick up some unique and lifelong souvenirs at their perfectly curated showroom. On the Way Back: Late in the afternoon, start heading back to San Francisco, but take a detour to the Marin Headlands for a quick hike and amazing views of the Golden Gate Bridge. Dinner: It’s been a long day so best to head to our favorite place for a carb load. Italian Homemade Company is in North Beach, San Francisco’s little Italy. The owners and employees are Italian and the food they make has us craving Italian like we’ve never experienced before. The lasagna and meatballs are what bring their food to the next level. If you’re in the mood for something other than Italian, head to the Mission neighborhood, teaming with great restaurants. Our favorite ethnic options are Mission Chinese (the Lung Shan Beef Chow Mein is where it's at) and El Farolito (you won't regret ordering the Super Suiza Quesadilla). If you're looking for something more upscale, try Foreign Cinema. They serve up American style dishes in a charming brick courtyard complete with cafe lights while projecting movies onto one of the courtyard walls. Bonus: they make mean cocktails. More San Fran: To read more about Kristin’s own neighborhood, the quaint Noe Valley click here for her ideal day and guide.